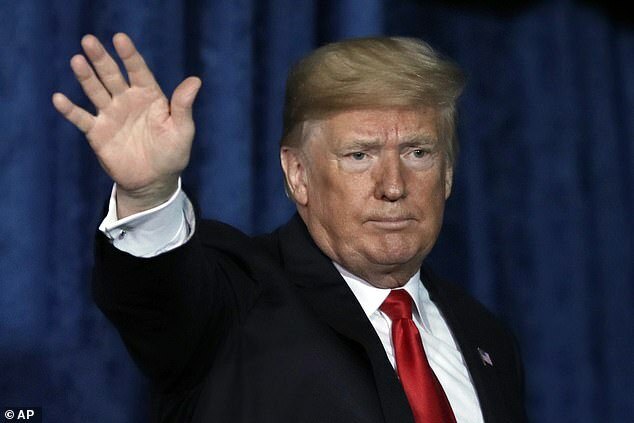 President Trump advised Republicans to haul James Comey before Congress a second time on Friday and compel him to answer their questions under oath. He was responding to complaints from GOP lawmakers that a Department of Justice lawyer intervened to keep Comey from responding to many of their inquiries. Coverage of the dramatic confrontation on Capitol Hill that had taken place in private, with a transcript to be published later, had been playing on Fox News as the president flew back to the Washington area from Kansas City on Air Force One. 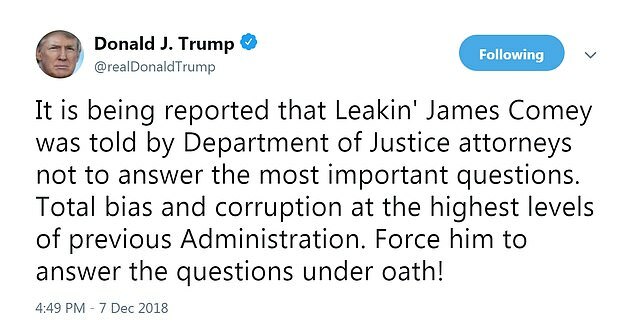 Minutes after arriving at the White House, the president observed, ‘It is being reported that Leakin’ James Comey was told by Department of Justice attorneys not to answer the most important questions. 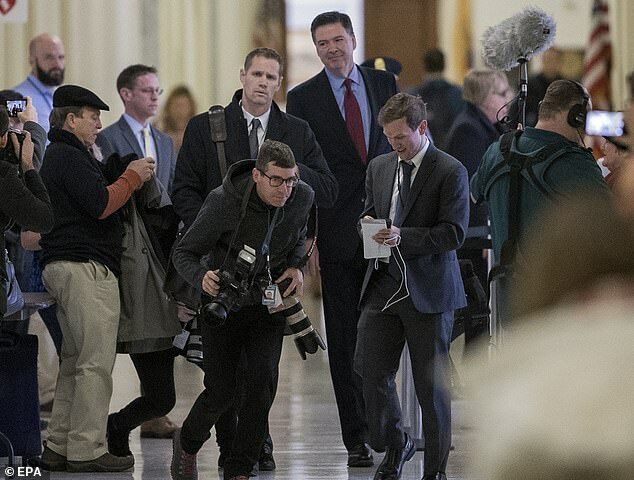 Moments before, Comey had held court on Capitol Hill with reporters anxious for a readout of the closed-door session. Comey wouldn’t say how often he has met with Robert Mueller’s investigators. He wouldn’t coment on the firing of former AG Jeff Sessions. 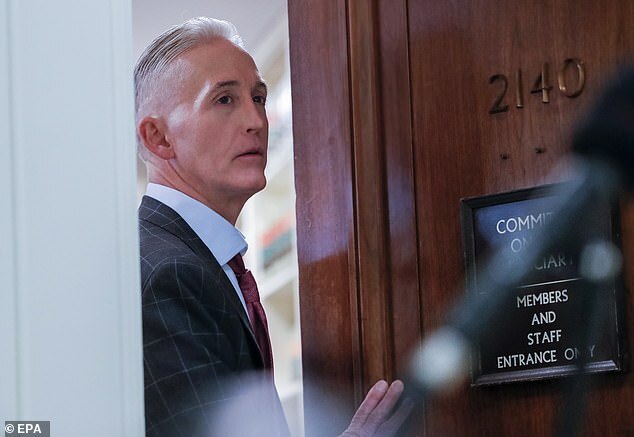 Asked about any abuses of surveillance laws, he responded: ‘I have total confidence that the FISA process was followed and that the entire case was handled in a thoughtful, responsible way by DOJ and the FBI. I think the notion that FISA was abused here is nonsense. He wouldn’t comment on reports deputy AG Rod Rosenstein was willing to wear a wire in the days after Comey’s firing. ‘I can’t comment on that. Enjoy your weekend,’ he told Capitol Hill reporters. 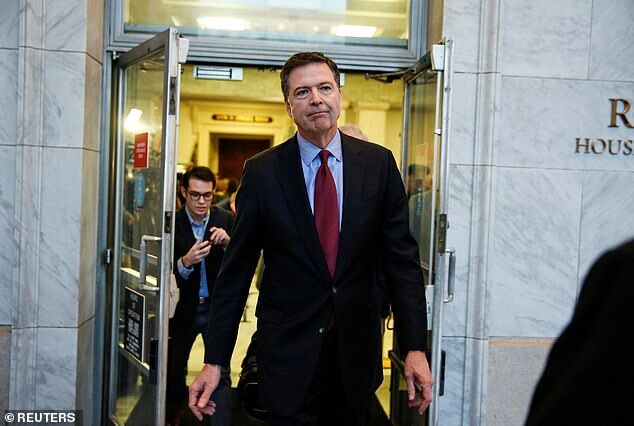 Comey had delivered some wry pushback against President Donald Trump as he arrived on Capitol Hill Friday to get grilled in private by the House Judiciary Committee. 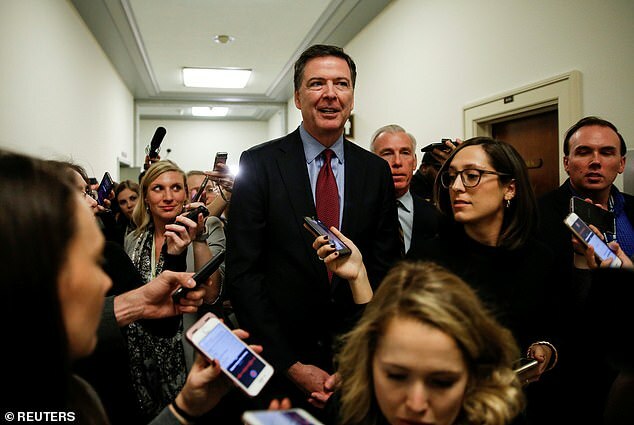 Comey was on the Hill after backing down in his effort to fight a subpoena to force him to testify. 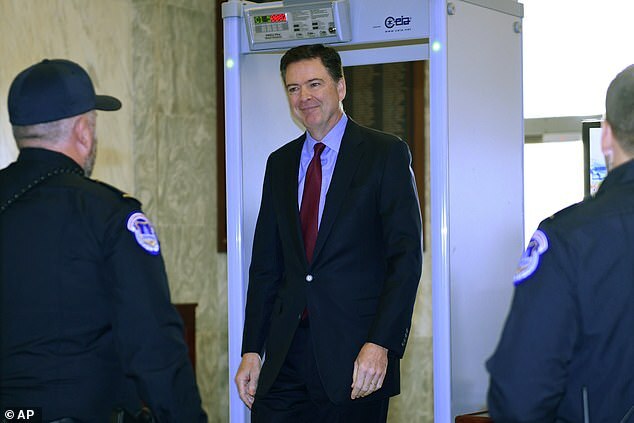 ‘Note that I smiled,’ was Comey’s response. Then he walked inside a committee room for a grilling that was set to last hours. Trump began his morning with a Twitter tirade where he attacked Mueller, using his professional relationship with Comey to kick it off. 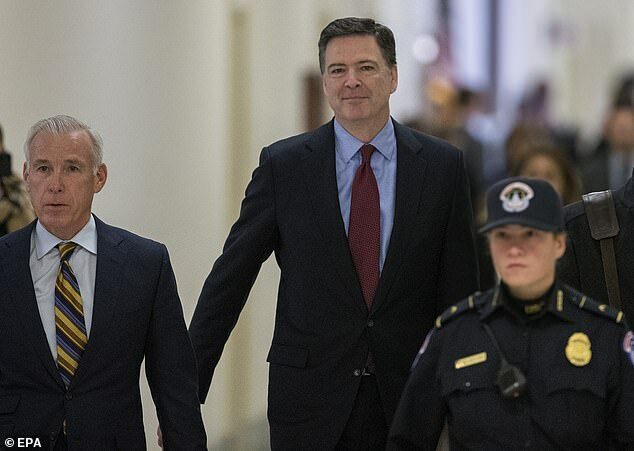 ‘Robert Mueller and Leakin’ Lyin’ James Comey are Best Friends, just one of many Mueller Conflicts of Interest,’ Trump wrote Friday. 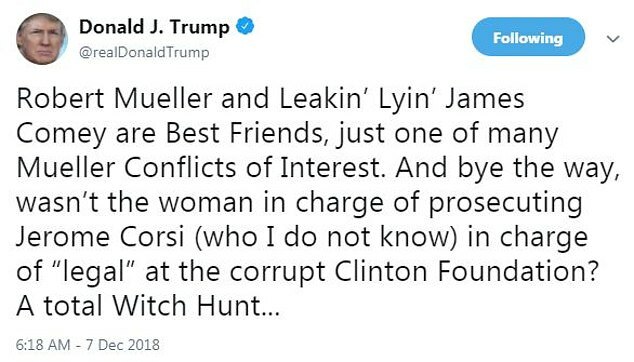 ‘And bye [sic] the way, wasn’t the woman in charge of prosecuting Jerome Corsi (who I do not know) in charge of “legal” at the corrupt Clinton Foundation? 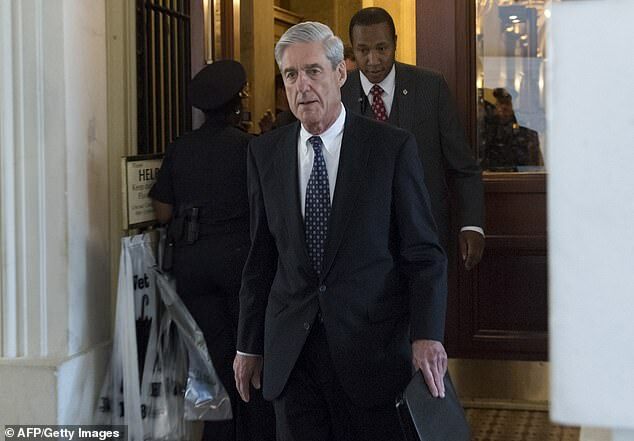 A total Witch Hunt,’ the president tweeted at 6:18 a.m.
Comey buckled over the weekend, announcing he would appear following assurances that a full transcript would get released and he could speak about what he had testified.